The City and Regional Planning Department (CRP) promotes sustainable and diverse communities within cultural and human systems. We provide an interdisciplinary professional planning education based on the learn-by-doing approach, community outreach, and applied research to help communities aspire for better, livable places. Your support helps provide the tools to achieve student and program excellence. Scholarship support is a critical part of student success. Your donation not only provides financial support to the recipients - it can make the difference between whether a student joins a competition team or an academic club. Join our industry, foundation and family scholarship supporters – $1,000 is the minimum donation necessary to offer a scholarship. Consider supporting an existing scholarship, or starting your own today! City & Regional Planning students are encouraged to enter hands-on competitions to foster resourcefulness, project management skills, and the ability to work in teams. Regular competitions include the Bank of America’s Low-income Housing Challenge and the Urban Land Institute Hines Competition. Support and incentivize students to engage in a study abroad offering to prepare them for practice in a globalized world. 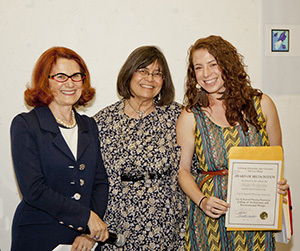 Grants of up to $1,000 will be offered to students enrolled in CRP Summer Abroad courses emphasizing comparative issues of urban and regional planning in a globalized world. Grants will be applied directly to tuition and expenses for these programs. We encourage students to participate in professional conferences. This is an important part of any professional’s education to keep up to date with their chosen profession, and the networking opportunities are priceless. Your donation would support student participation by partially defraying the cost of attendance. CRP students have assisted communities throughout California by providing creative, low-cost planning services through our community-based studios. Economically disadvantaged communities who are desperately in need of quality planning services may not be able to afford the minimal fee we charge to cover the costs of supplies and student travel. Your support of the studio will provide a meaningful experience for our students and will provide benefit to these communities. Investing in the underwriting of a course will ensure faculty offer industry-specific projects that represent the reality of the planning profession today. Your support may be used to provide professional development opportunities to faculty and/or students, or provide transportation and lodging for travel to conferences or competitions. Equipment and supplies/materials may also be purchased with the funds. Your support of the computer lab will provide students with state-of-the-art equipment, software, and training necessary for our technologically evolving field. Your company will have naming rights to the computer lab for 5 years. Support this state-of-the-art lab for conducting geo-spatial analysis, modeling, and visualization. This lab would leverage Cal Poly’s strong commitment to ESRI software products and provide hardware systems and space. Your company will have naming rights to the lab for 5 years. 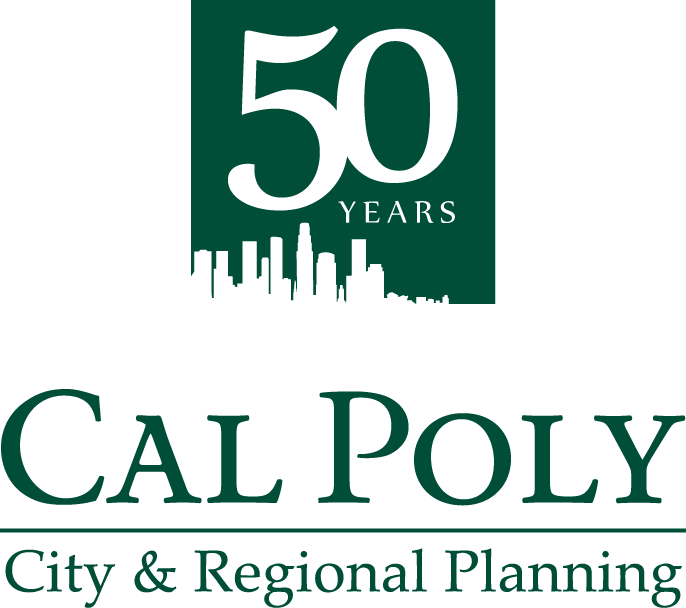 The ability to provide planning practice insight and exposure to CRP students is enhanced by bringing distinguished professionals to spend one to two weeks to Cal Poly. 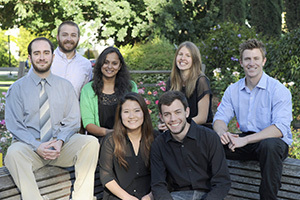 These “planners in residence” improve the level of professional planning skills offered. A gift of $5,000 would support living and honorarium expenses. An award-winning annual publication on professional, student and faculty projects, a gift of $5,000 will ensure that you and/or your company is featured in an article of the magazine. A gift of $1,000 will help to defray the production cost of one CRP newsletter and/or expansion into a digital volume. Your gift to this discretionary fund will be used as needed to support expenditures such as student/faculty travel, materials and supplies, and/or books. For more information on any of the above giving programs, please contact Dr. Michael Boswell, CRP Department Head at 805-756-1315 or mboswell@calpoly.edu; or the CAED Advancement Office at 805-756-5138. Employers often match their employee donations, under certain circumstances or for specific purposes, which could double your gift. If your employer participates in this type of program, consider asking them to match your gift to Cal Poly. Contact … for more information. Make a legacy gift to CRP, the college or the university by recording your intent in your estate plans.